Thule Racks are sold in components. Generally you'll need to buy Towers, Cross Bars, and a canoe or kayak accessory to have a complete System. If buying "Aero Foot" or "Rapid Aero" Towers, you'll also need specific Fit Kit for your vehicle. Don't worry, when you call to place an order we'll make sure you order all the correct components for your make, model, and year of vehicle. 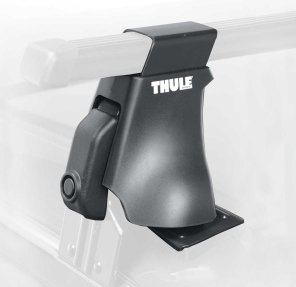 OR if you would like, use our Thule Rack fitter to find what you need for your vehicle, then buy it right here! 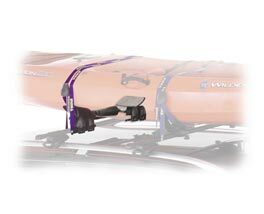 Canoe and kayak carriers to use with your Thule rack can be found on this page and/or our rack accessories page. A pair of sturdy bars -the foundation of a dependable Thule load carrier. Towers and End Caps not included. One pair of classic rectangular, black Thule Crossbars. 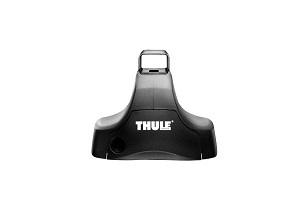 The foot that set the Thule standard. The predecessor to the 400xt rack towers (next item down) - 400 and 400XT Use the same fit kits. AND Fit the same vehicles. Can be locked with Thule One Key System lock cylinders (not included). Requires Thule Crossbars and a specific "Fit Kit" to fit your vehicle. This is a half set, two towers. Requires Thule Crossbars and a specific "Fit Kit" to fit your vehicle. This is a full set, four towers per box. The strongest, best fitting rack system for cars without rain gutters and factory racks. Easy installation provided by patented tool free design. Excellent load distribution for maximum stability achieved with wide foot pad. - Uses the same fit kits. Fits same vehicles as 400 aero foot below. Requires Thule Crossbars and a specific "Fit Kit" to fit your vehicle. A specific Fit Kit (to fit your vehicle) is required for each set of four Aero Foot 400 or 400XT. The base and kit system to turn a weak factory rack into a dependable Thule load carrier. Set of four feet. Requires TK kit. Redesigned foot with Click-on/Click-off technology for maximum user-friendliness. Innovative kit system simplifies rack transfer between vehicles. Convenient push button release for rack removal when not in use. 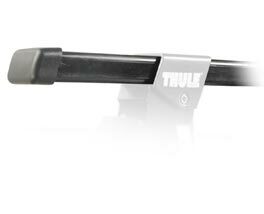 Requires Thule Crossbars (sold separately) and a specific TK Tracker Kit to fit your vehicle (sold separately). Designed for use with the Thule Tracker II Feet. Tracker Kits mount to your vehicle's factory rack. 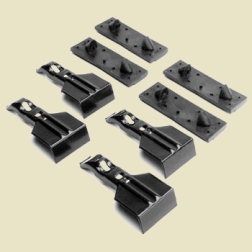 Set of four brackets. Kit system simplifies removal and transfer between vehicles. Convenient push button makes for quick and easy rack removal. Vehicle specific hardware provides best possible track fit. -customize by adding gunwale brackets to carry a canoe OR saddles for a kayak (optional). With an iron grip the Thule 759 rack fits into your vehicles rooftop Raised Side Rail system, along with Thule bars makes for a solid transport system. -includes 759 foot pack (4 towers) with integral Thule crossbars (2 bars). -includes specialty Thule lock system (included). Easy kayak loading and maximum supoort with integrated roller and saddle. Requires additional pair of saddles for your forward crossbar; this product would mount on your rear crossbar. Mounts to Thule square bars only. Easy loading with optimally positioned roller. Roller eliminates boat to load bar contact when loading boat. Hydro Glide saddles center and guides boat while loading and gives a large surface area to support the hull. Fully adjustable for different boat styles and sizes. NOTE: For use with Thule kayak saddle for your forward crossbar (not included). 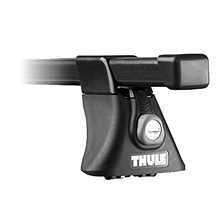 Mounts to classic Thule rectangle shape bars only. Includes one ratcheting tie down, strap and buckle protector. Additional bow/stern tie downs required to your bumper or hood loops for safe boat transport. Transport your canoe to your next paddling destination with our Universal Canoe Carrier! Features durable gunwales brackets that make it easy to load your canoe and even easier to keep it from moving around on your rack. Weather-resistant padding on the base and buckle bumpers on the load straps protect both your canoe and your car from damage during transport. Adjustable gunwale brackets fits Thule square or Aero bars, fits Yakima round bars, Core bars or JetStream bars, and most other factory SUV or Minivan roof racks we've seen! -Universal roof rack compatibility for most crossbar shapes and sizes we've seen. 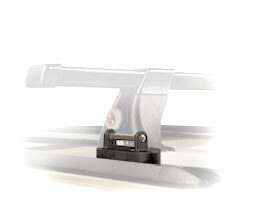 -Includes 4 adjustable gunwale brackets to secure one canoe. 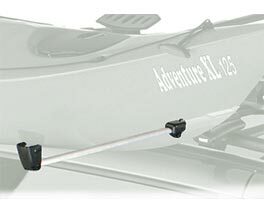 -Includes 2 adjustable hull straps to secure one canoe. -Includes 1 Bow and 1 Stern tie-down straps for securing one canoe. 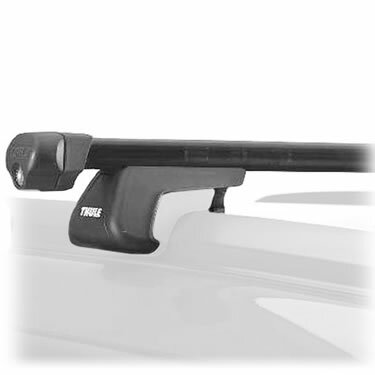 The Thule 477 Short Roofline Adapter is one component of a complete roof rack base system. 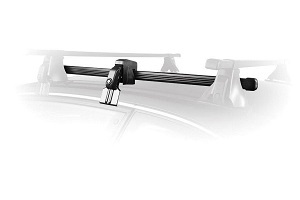 It works in combination with the Thule 400XT Aero car rack, ensuring correct weight distribution for increased carrying capacity on short roof lined vehicles. Also adds accessory item compatibility for many short roofed 2 door vehicles. 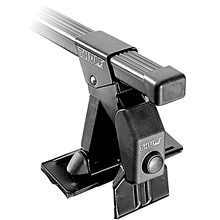 Fits Thule classic black rectangle shape load bars only.